Approaching "work" as at heart a practice of exchange, this volume explores sociality in work environments marked by the kind of structural changes that have come to define contemporary "flexible" capitalism. 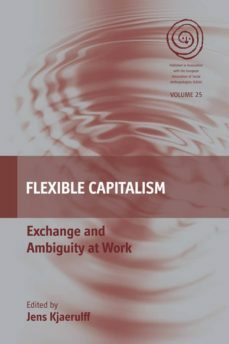 It introduces anthropological exchange theory to a wider readership, and shows how the perspective offers new ways to enquire about the flexible capitalisms social dimensions. The essays contribute to a trans-disciplinary scholarship on contemporary economic practice and change by documenting how, across diverse settings, "gift-like" socialities proliferate, and even sustain the intensified flexible commoditization that more commonly is touted as tearing social relations apart. By interrogating a keenly debated contemporary work regime through an approach to sociality rooted in a rich and distinct anthropological legacy, the volume also makes a novel contribution to the anthropological literature on work and on exchange.